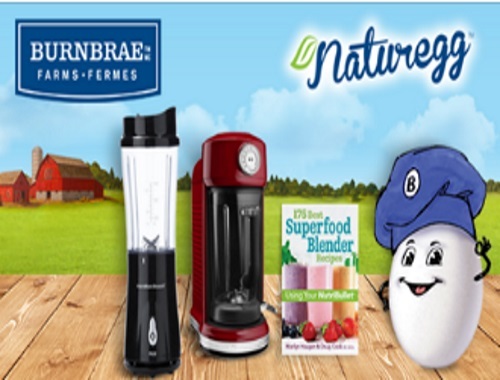 Kick start your smoothie game with these essential tools in the Burnbrae Farms Naturegg contest! Enter for a chance to win the Grand Prize of KitchenAid Magnetic Torrent Blender ($440 ARV). Seconday prizes include: 1 of 4 Burnbrae Farms Gift Baskets including a Single Serve Blender ($250 ARV) and a copy of 175 Best Superfood Blender Recipes. Contest ends April 11 2017.